During the latest episode of WWE’s Raw, John Cena came down to the ring once again to call upon The Undertaker to give him a response to his challenge. 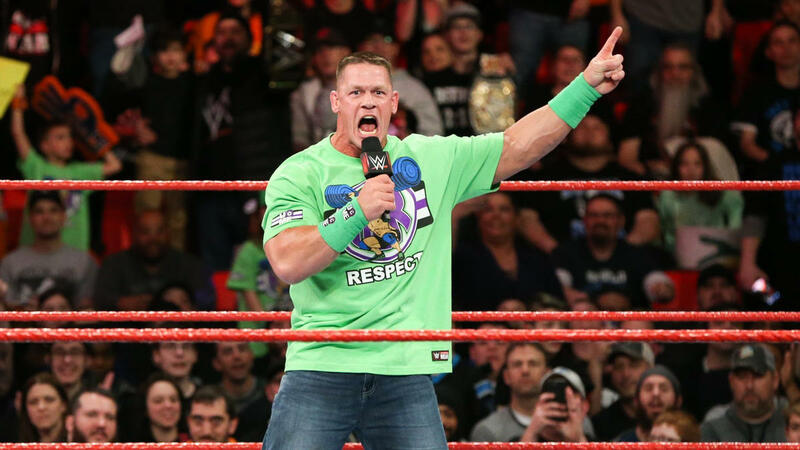 This time around, Cena went even further with his promo on the legendary superstar to try to bait him into responding to the match he proposed for WrestleMania 34. As Cena continued a scathing promo against the man he wants to fight at the big pay-per-view, he got a different challenger arriving out to answer him. Cena continued his promo and said Undertaker is “not a God” and should “barely be able to call himself a man.” That led to some fans booing the suggestion that the legendary star is not able to answer another wrestler’s challenge. As Cena told the fans in attendance and watching at home that Undertaker had let everyone down, suddenly the big screen lit up with some familiar fiery red graphics. Instead of “The Deadman” appearing, it was “The Big Red Machine” who walked down to the ring. Cena believed that to be some sort of response via the Undertaker and asked Kane if it was “Yes” or “No.” Instead of giving any type of answer, Kane proceeded to chokeslam Cena onto the mat which seems to set up a match between those two, at least for Raw. Despite the lack of an appearance by Undertaker in that segment, the appearance of Kane seems to lend more credibility towards Taker appearing at WrestleMania 34. It’s unlikely that WWE is going to book John Cena vs. Kane for the big pay-per-view, especially with all of the buildup for the other match that’s been going on for weeks now. It’s possible that Kane will play into the storyline somehow with a few matches against Cena and maybe his brother will show up during or at the conclusion of one to really hype up the big pay-per-view. WWE’s WrestleMania 34 pay-per-view is scheduled for Sunday, April 11, at Mercedes-Benz Superdome in New Orleans, Louisiana. Update: John Cena vs. Kane has been announced for next week’s episode of WWE Raw.